It fails to compute why the number of women pursuing tech careers hasn’t been growing. That’s why activists are working to transform the tech field into a friendlier space. Likewise, Mickell and Foodily co-founder Andrea Cutright were taken aback a few years ago while pitching their recipe-sharing network to a gathering of potential investors. “It’s a good thing you women aren’t fat,” one of the men teased. Mickell, who sold Foodily, billed as “the world’s largest recipe search engine,” last year to IAC for an undisclosed amount, has been at the forefront of a small but growing movement that is transforming the tech industry. Much maligned in the media for its “brogrammer” fraternity culture, and criticized for a practice of inequitable pay and promotions, the industry has been undergoing a shift in the last five years as it aims to retain and attract women. Many of the initiatives for change are being spearheaded by women. Earlier this year, Mickell, together with a group of high-powered tech friends from the San Francisco Bay area, released results of a survey they designed, “Elephant in the Valley.” The survey, which focused on mid-to-upper level women in the tech industry, asked questions about promotion, harassment and unconscious biases, among other topics. The results were astounding. That’s not to downplay the role of overt discrimination. In 2012, Ellen Pao, a graduate of Princeton with a degree in electrical engineering sued her employer, a Silicon Valley venture capital firm, for gender discrimination. While she lost the case, she raised the volume of conversation around the issue, and has recently helped launch a non-profit venture called Project Include, which will collect and share data about how tech companies are diversifying their staff. The yearning for systemic change arises amid much disconcerting data. The number of women leaving college with degrees in computer science peaked in 1984 (at 37 percent), and fell to an all-time low in 2011 (at 11 percent). “Half of women in tech drop out of their career,” says Heather Cabot, a former web-life editor for Yahoo. Moreover, only 7 percent of investor money goes to women-led start-ups, according to Allyson Kapin, a 2015 JWI Woman to Watch and co-founder of the Rad Campaign, a web agency devoted to advocating for socially-conscious non-profits. But Kapin isn’t waiting around for investors to wake up. In 2015, in partnership with Craig Newmark of craigslist, she launched “Women Startup Challenge.” The challenge hosts events for women-led startups to showcase their ideas, and has already raised more than $1 million for female entrepreneurs. “There’s lots of grassroots activity of women helping each other, of women driving this conversation, of women creating a movement,” said Cabot, who is the co-author, along with Samantha Parent, of the book Geek Girl Rising: Inside the Sisterhood Shaking Up Tech, expected to be published by St. Martin’s Press in the spring of 2017. Geek Girl will explore how these pioneers are changing the face of technology, transforming it into a hospitable environment for women. The shift is taking place at every level and stage of career: Projects like Kapin’s aim to make funds more available to women entrepreneurs; others work to eliminate inequitable practices in compensation or to teach female executives how to deliver a Ted Talk; still others are introducing change into computer science departments at colleges, providing mentors and networking opportunities for young women. Hundreds of programs aim to boost the confidence and interest of middle-school girls. 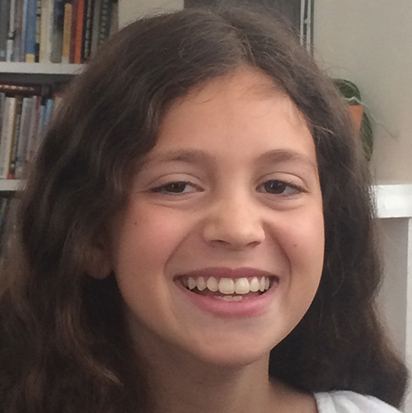 Leigh Wolberger, a seventh-grade student at the Rooftop School in San Francisco, is among the hundreds of thousands of adolescent girls to benefit from Expanding Your Horizons Network (EYH), one of the oldest initiatives focused on encouraging girls to pursue STEM-related careers. Leigh, who has wanted to be a paleontologist since first grade, enjoyed the hands-on workshop run by EYH at San Francisco State University, including a program on the changing chemistry of oceans and another on how diseases spread, all led by women professionals. She said that a lot of participants had imagined scientists to be men. “It made me a lot more excited about growing up and learning more about the sciences,” she said. Some ventures concentrate on an even younger set. Goldieblox, a toy company that launched in 2012, targets girls aged 4 to 8. The colorful construction kits include stories of Goldie, a girl inventor. Founder Debbie Sterling, featured in Geek Girl Rising, hopes to appeal to girls before they start adsorbing society’s stereotypical ideas about gender. Sterling says she studied engineering at Stanford after a high school math teacher planted the idea in her head, but as a little girl she was always disappointed when older relatives complimented her intelligence. “They would grab me by the punim [face] and say, ‘Debbie you are so smart.’ I wanted to be pretty. I didn’t want to be smart,” Sterling says in a Ted Talk. She says she still doesn’t completely fit into the world of engineering. Among the pioneers hoping to reshape the industry are many Jewish women, including those quoted here. Some find their interest in the field growing because of roots in Israel – the land of milk, honey, and tech startups. Jewish women also connect the “call of coding” to tikkun olam, repairing the world. Rachel Sheinbein, who is profiled in Geek Girl Rising and is the president of the board of Expanding Your Horizons, puts it simply: “An engineering career can help you to give back.” Because of the endless possible products an engineer can introduce to the world, she says, “I believe that engineering can contribute to the healing of the world.” Inspired in part by a summer program during high school in which she engaged in hands-on projects like building a pseudo-dialysis machine, Sheinbein studied engineering at the University of Pennsylvania and later at Massachusetts Institute of Technology. Now, as the managing director of Makeda Capital, she engages in another form of healing the world: She angel invests in many ventures started by women entrepreneurs. Others say that a sense of social justice or tzedek, relates to their interest in helping transform the tech industry. In addition to writing a book, Heather Cabot is the managing director of Golden Seeds, which invests in nascent women-led ventures, including some tech firms. The child of former Jewish Federation presidents, Cabot says that her upbringing instilled in her the importance of working to make the world a better place. She hopes that Geek Girl Rising will help a lot of women. Lenore Blum is among the earliest pioneers to turn her attention to women’s roles in technology. A computer science professor at Carnegie Mellon University who has helped drive a revolution of sorts in her department, Blum began her career at a time when most top math departments closed their doors to women at the doctoral level. Massachusetts Institute of Technology (MIT), however, took a chance. Blum graduated from MIT in 1968, and her political consciousness awakened almost immediately. With surprise, she observed the inequitable job market, and soon became active in a network of female mathematicians. For three years in the early 1970s, she served as president of the Association for Women in Mathematics. More recently, Blum has focused on expanding opportunities for women students at Carnegie Mellon, a top-ranking school for computer science, where she has worked since 1999. The results have been striking. While most schools have been bemoaning the diminishing numbers of women in computer science (about 18 percent nationwide), Carnegie Mellon has increased its percentage of women majoring in computer science. In a recent year, the figure stood at more than 40 percent. Carnegie Mellon has growing company among colleges seeking to welcome more women computer scientists. Harvey Mudd and the Anita Borg Institute have reportedly also boosted the number of female computer science students to around 40 percent after introducing systematic change. Some 15 other colleges are following their lead. Blum has been watching the shift with interest. Still, she says she’d like to see “a lot more women being the inventors. There’s a real push to encourage that.” She notes her recent research, which showed that men and women are equally equipped to code, and to learn the technical aspects of computing that you need to build components, to follow through with an idea and invent a new product. It’s hard not to be intimidated by male peers who started coding before they even reached the age of bar mitzvah. Don’t be afraid, advises Barr Yaron, a data scientist for Facebook in Tel Aviv. “You can do it. Don’t shut out what you’re excited about because you’re intimidated,” says Yaron, who grew up in Philadelphia and studied math, computer science and economics at Harvard. Apply to every internship, she advises. Let the organization determine whether you have the qualifications. Young women pursuing tech should mark their calendars for the annual Grace Hopper Celebration of Women in Computing, taking place each fall. Since 1994, this conference has been the biggest gathering for women technologists to meet and to mentor, to exchange ideas and experiences. And it’s getting bigger, fast: Last year, the event drew 12,000 people from 63 countries, a 50 percent increase from the year before. Elicia Brown is a freelance writer based in Manhattan.